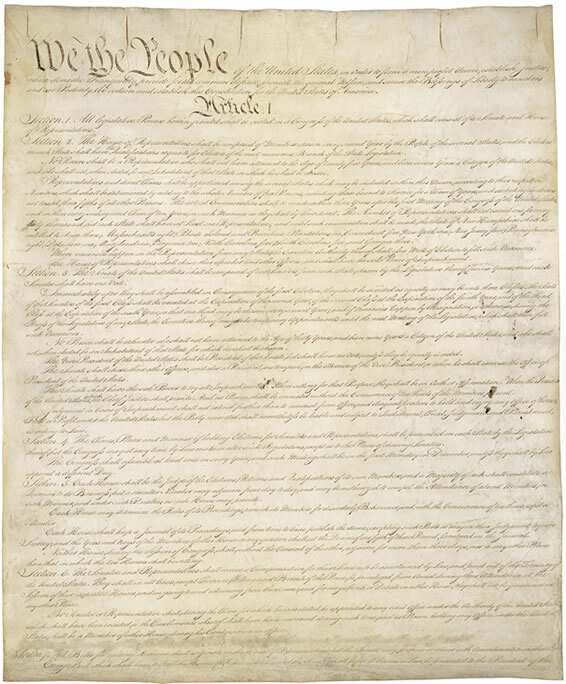 Page One of the original copy of the Constitution. Transcription of the Constitution. 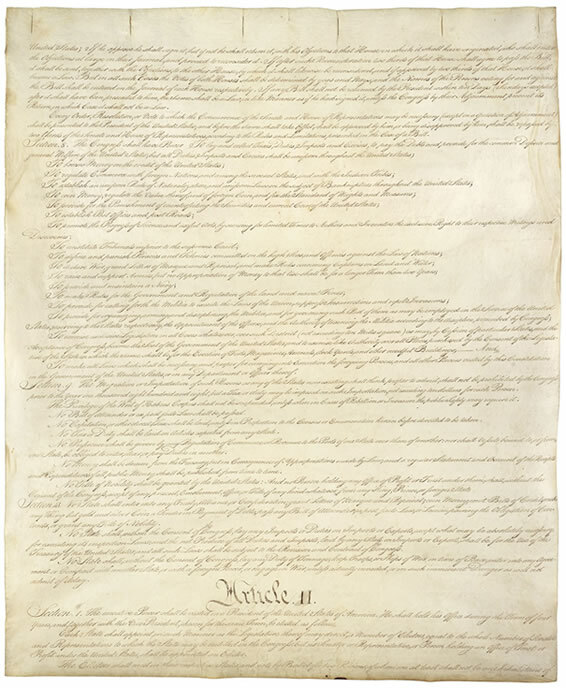 Page Two of the original copy of the Constitution. Transcription of the Constitution. 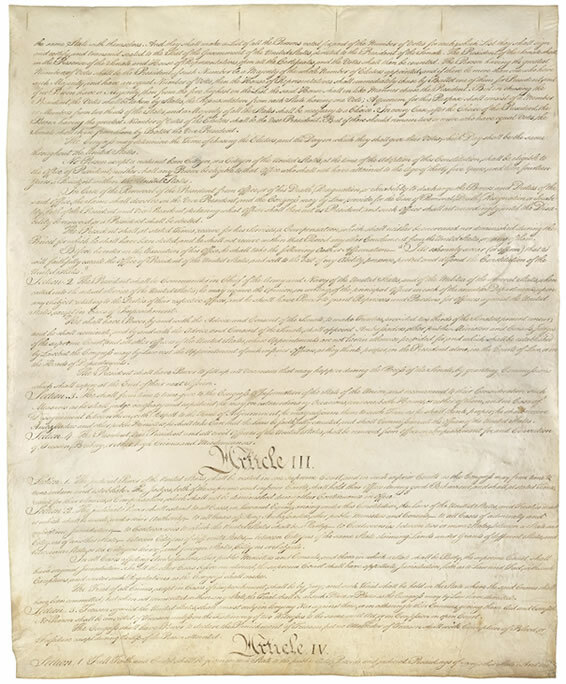 Page Three of the original copy of the Constitution. Transcription of the Constitution. Page Four of the original copy of the Constitution. Transcription of the Constitution. Adopted on September 17, 1787, by the Constitutional Convention in Philadelphia, PA. The Constitution of the United States of America is the supreme law of the United States. 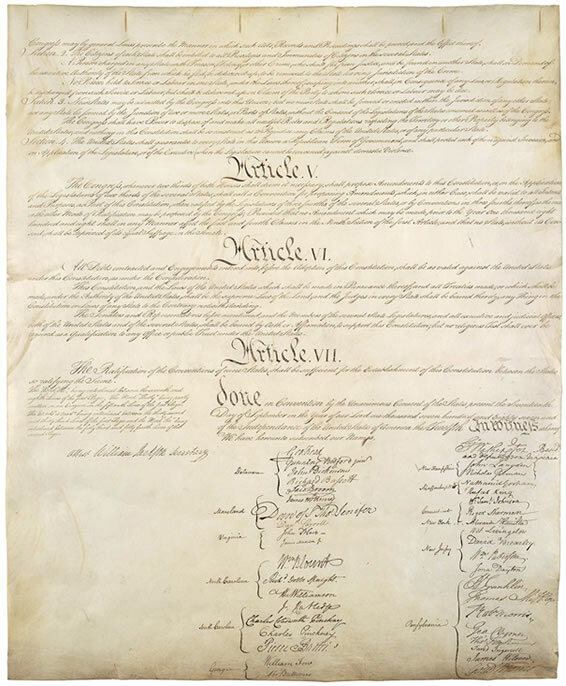 It is the foundation and source of the legal authority underlying the existence of the United States of America and the Federal Government of the United States. It provides the framework for the organization of the United States Government. The document defines the three main branches of the government: The legislative branch with a bicameral Congress, an executive branch led by the President, and a judicial branch headed by the Supreme Court. Besides providing for the organization of these branches, the Constitution outlines obligations of each office, as well as provides what powers each branch may exercise. It also reserves numerous rights for the individual states, thereby establishing the United States' federal system of government.